Today's tutorial will guide you on how to change your voice easily in World of Warcraft (WoW) using the cutting-edge voice changing program for online games - AV VoizGame. 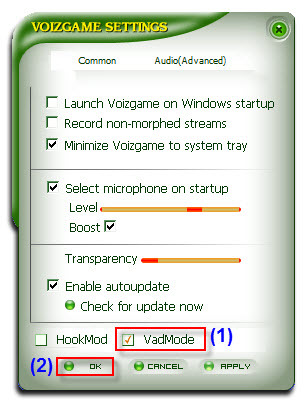 - Click OK (2) to apply new setting and close VoizGame Settings dialog box. 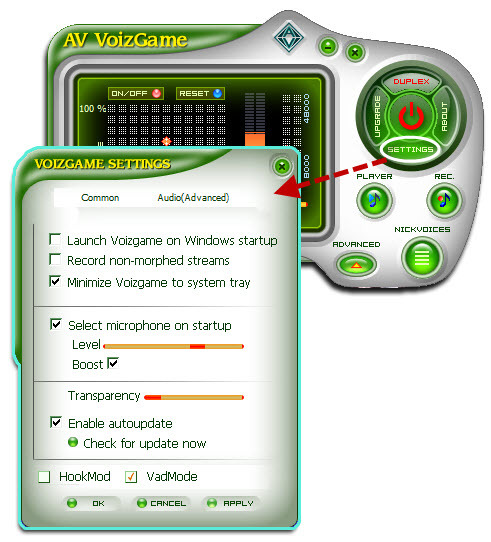 Please refer to this tutorial for how to change your voice with AV VoizGame. - Check your microphone to make sure it works properly. - Run World of Warcraft, and log in your account. - Click the "Voice" tab at the bottom of the interface to see the Voice settings. - In the voice options screen, tick on "Enable Voice Chat" checkbox. Voice chat is now enabled. - Under the Microphone options, select Avnex Virtual Audio Device as default device. - Click Okay. You may need to restart the game for your settings to take effect. 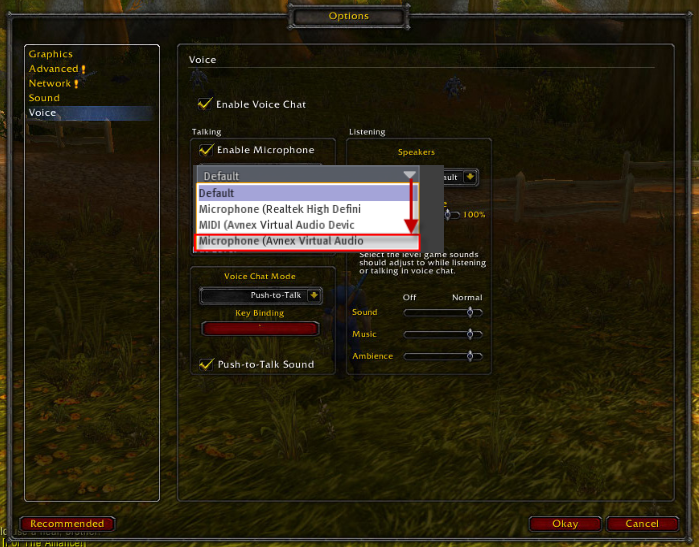 From now on, Avnex Virtual Audio Driver will be the main audio driver recognized by World of Warcraft . 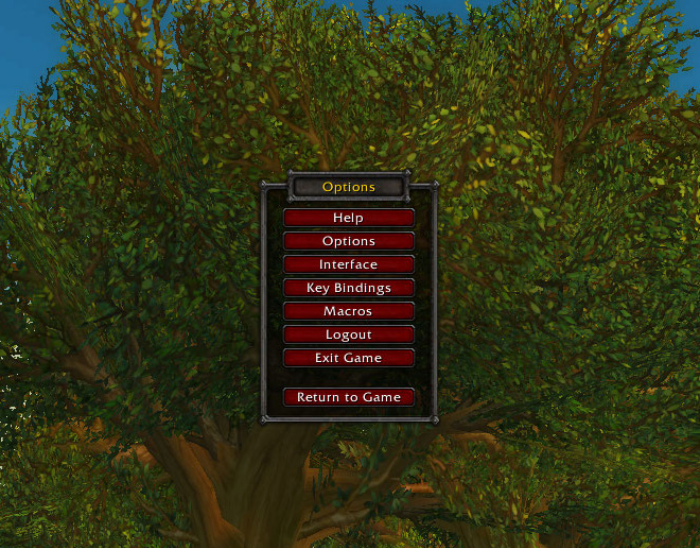 You can start the voice chat session on World of Warcraft with your voice changed. Please notice that as long as the AV Voizgame is On, the morphing effects will be applied to your voice automatically. To be back to normal instantly, you will just need to turn the voice changer software off.